If you currently have a Shimano R7000 crankset on your road bike, this 4iiii Podium Shimano R7000 Power Meter is for you! This 4iiii power meter replaces your current left-side crank arm. It measures the power that is generated by your left leg and doubles this value to determine your total watts. 4iiii uses patent pending 3-D tri-axial strain gauge technology in order to achieve +/- 1.0% accuracy, which places it among the most accurate power meters available. When it comes to weight, there is no equal. The 4iiii Podium sensor weighs a mere 7.5 grams – practically nothing! 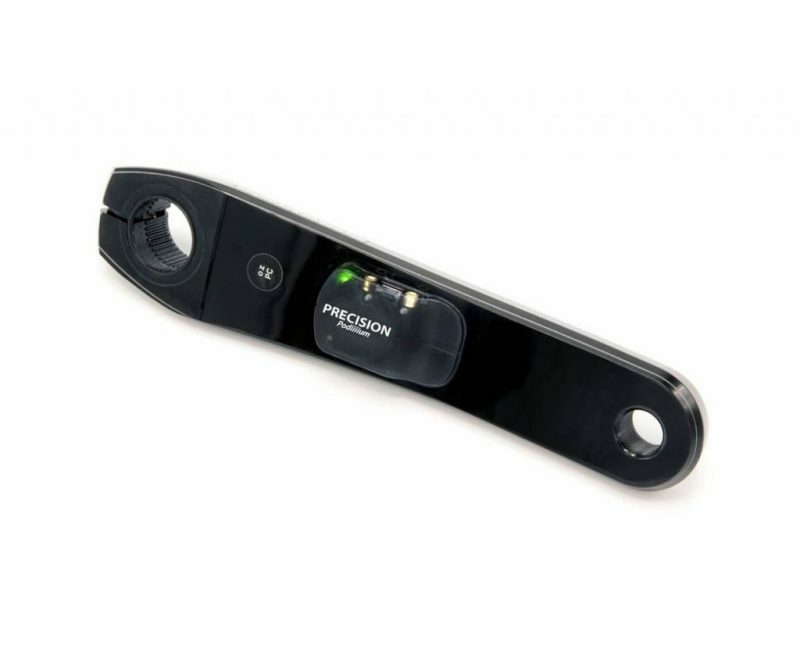 In addition to being rechargeable, the Podium sensor has a slimmer profile vs. the PRECISION model with its thickness reduced approximately 10% from 8.2 mm to 7.5 mm. The power meter also features dual ANT+ and Bluetooth SMART compatibility so you can use it with a wide range of devices. In short, the 4iiii Podium Shimano R7000 Power Meter is one of the most accurate, lightweight and affordable direct force power meters available! At only $399, the 4iiii Podium R7000 is one of the most affordable, ready to ride direct force power meters available. The Podium is accurate to within +/- 1.0%. This compares to average accuracy of +/- 1.0-2.0% for most other power meters. At only 7.5 grams of added weight, the Podium is the lightest power meter you can buy! The Podium features a lithium ion rechargeable battery with an impressive 60 hours of battery life. The 4iiii Podium Power Meter is compatible with all Shimano Hollowtech II road cranks. Please contact us if you have any questions on compatibility.